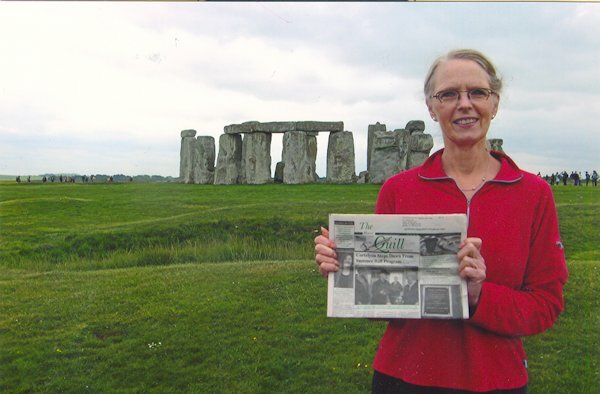 The Quill traveled in May with Julie Kralovec, a former resident of La Harpe to England where she visited Stonehenge and many sites in London such as the Tower of London and Westminster Abbey. 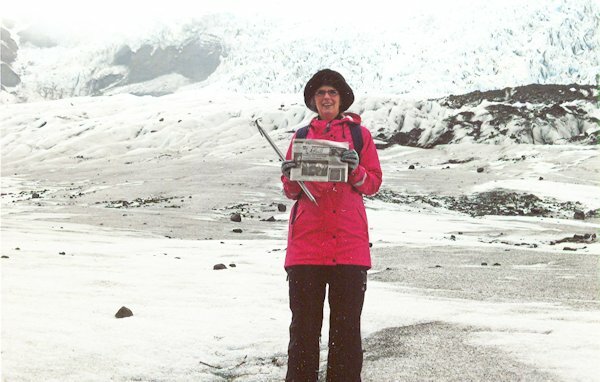 From there "The Quill" traveled with her to Iceland where she saw amazing waterfalls, snorkeled between tectonic plates and climbed a glacier. It was a fantastic and fun trip. When you go on a trip, take "The Quill" along and have your picture taken with it and send it to us. Let's see where all the Quill can travel.